-Preamble of the Food and Agriculture Organization Constitution. 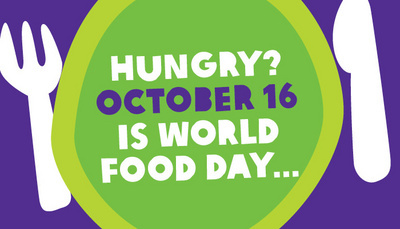 October 16 is the UN-designated World Food Day, the date chosen being the anniversary of the creation of the FAO in 1945 with the aim, as stated in its Constitution of “contributing towards an expanding world economy and ensuring humanity’s freedom from hunger.” Freedom from hunger is not simply a technical matter to be solved with better seeds, fertilizers, cultivation practices and marketing. To achieve freedom from hunger for mankind, there is a need to eliminate poverty. The elimination of poverty must draw upon the ideas, skills and energies of whole societies and requires the cooperation of all countries. World Citizens have played an important role in efforts to improve agricultural production worldwide and especially to better the conditions of life of rural workers. Lord Boyd-Orr was the first director of the FAO; Josue de Castro was the independent President of the FAO Council in the 1950s when the FAO had an independent Council President. (The independent presidents have now been replaced by a national diplomat, rotating each year. Governments are never happy with independent experts who are often too independent.) The World Citizen, René Dumont, an agricultural specialist, is largely the “father” of political ecology in France, having been the first Green Party candidate for the French Presidency in 1974. Yet as Citizens of the World have stressed, ecologically-sound development cannot be the result only of a plan, but rather of millions of individual actions to protect soil, conserve water, plant trees, use locally grown crops, reduce meat from our diets, protect biological diversity in forest areas, cut down the use of cars by increasing public transportation and living closer to one’s work. We need to stabilize and then reduce world population and to encourage better distribution of the world’s population through planned migration and the creation of secondary cities to reduce the current growth of megacities. We need to encourage wise use of rural areas by diversifying employment in rural areas. We also need to develop ecological awareness through education so that these millions of wise individual decisions can be taken. In 1989 The Christians sang, “When will there be a harvest for the world?” Well … We wish we knew.